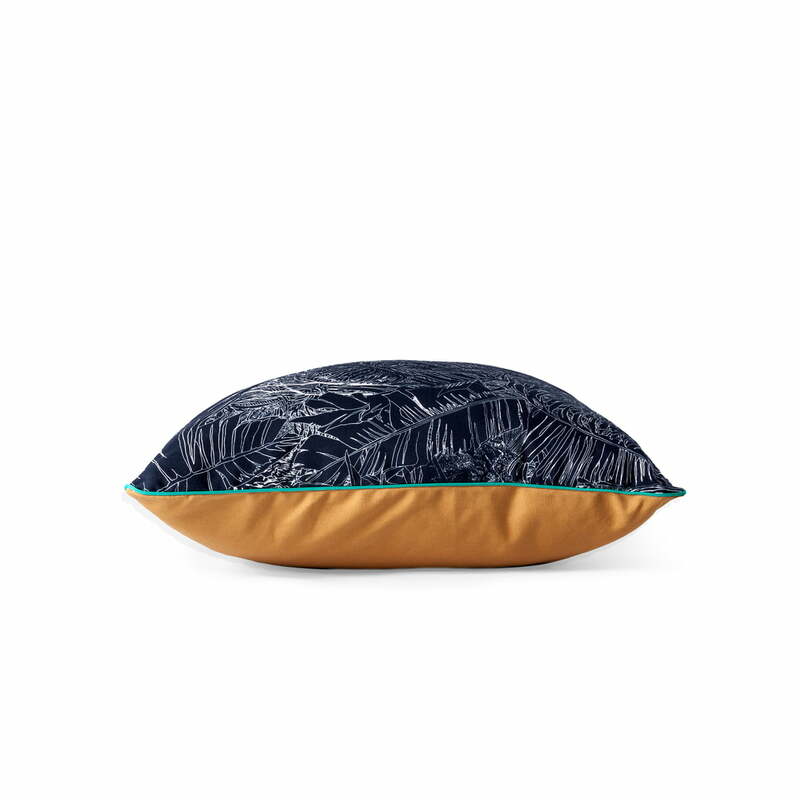 The Jungle cushion by Petite Friture features a floral pattern designed by Tiphaine de Bodman. 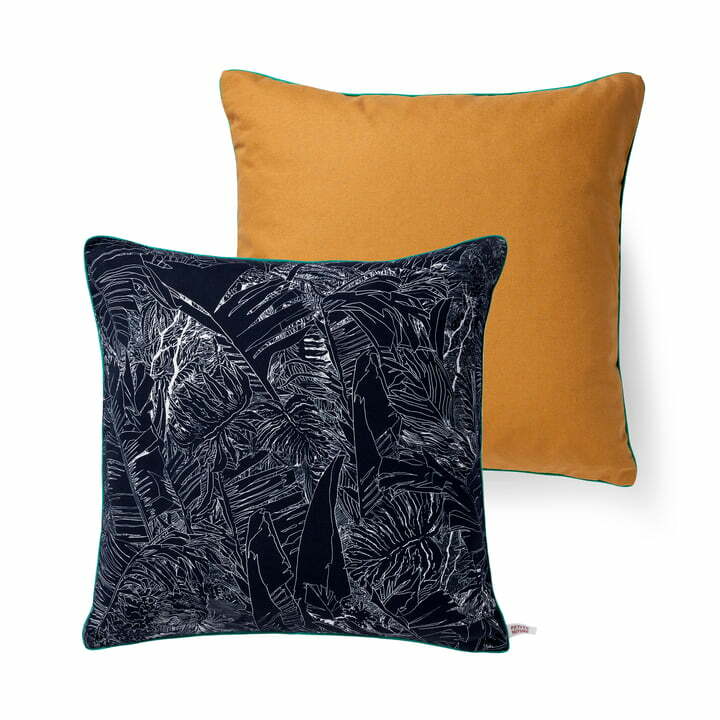 Large leaves, tendrils and shrubs can be found in the exotic pattern. Placed on the sofa or armchair, the living room can easily be transformed into an urban jungle. The natural pattern provides a great eye-catcher and also sets inviting accents. 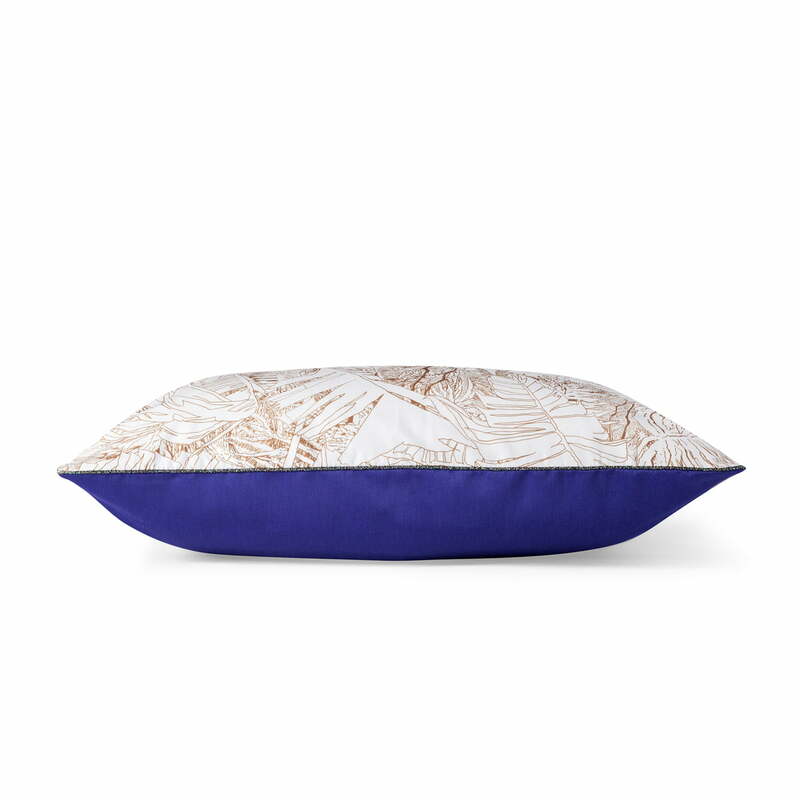 The cover of the cushion is made of 100% cotton. While the front shows the printed pattern, the back is monochrome in contrasting colours. The scope of delivery also includes a matching filling of 50% goose feathers and 50% foam flakes, which ensures a pleasant level of comfort. 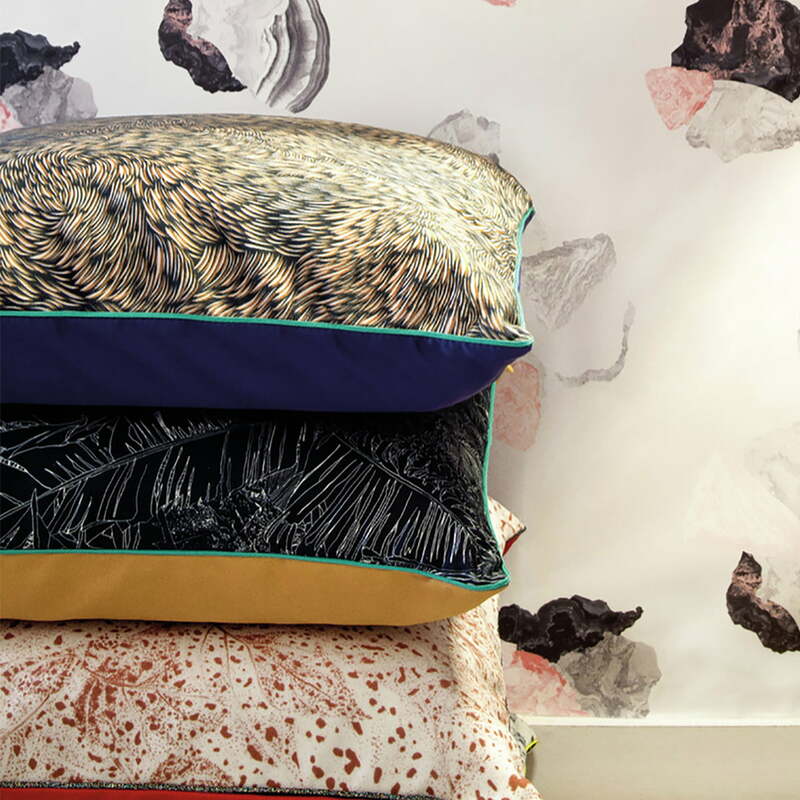 The pillow is available in different colours and sizes, which can be wonderfully combined with each other.